GAINESVILLE, Fla.- The Arkansas volleyball team fell 3-1 in the final of a three-match road stretch at No. 11 Florida Sunday afternoon. The Hogs started the match off strong, winning the first set 25-20. 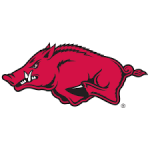 Arkansas scored eight of the final 11 points in the set. The Gators evened the match in the second, winning set two 25-15. The team went up 2-1 following a 25-20 third set victory, despite a fight from the Razorbacks. Florida put the match away in the fourth set with a 25-15 win. 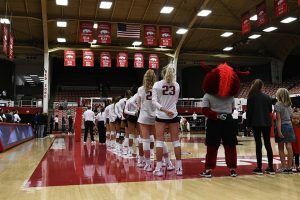 Arkansas will return to the court for the first of a four-match homestand, hosting Georgia Friday night at 7 p.m.